As mentioned in a previous blog post entitled Piano History, the piano was invented in the early 18th century by Bartolomeo Cristoforio. Since then, thousands of talented pianists and composers have been utilizing the beautiful sound of the piano to entertain the masses. 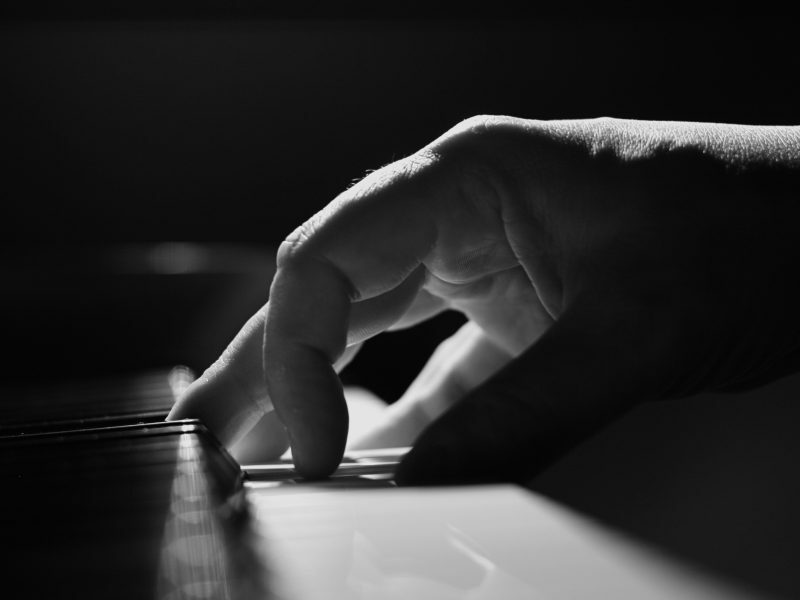 This blog post, broken down by century, gives descriptions of some of the most famous pianists and composers to grace the world with their delightful and captivating melodies. Ludwig van Beethoven was born in Bonn, Germany on the banks of the Rhine River. He had 6 siblings of which he was the eldest, however only Ludwig and his two younger brothers survived past infancy. From an early age, Ludwig van Beethoven had an astute enthusiasm for music. His father Johann van Beethoven who played both the violin and the piano started to teach and train his son from the moment Ludwig expressed interest. 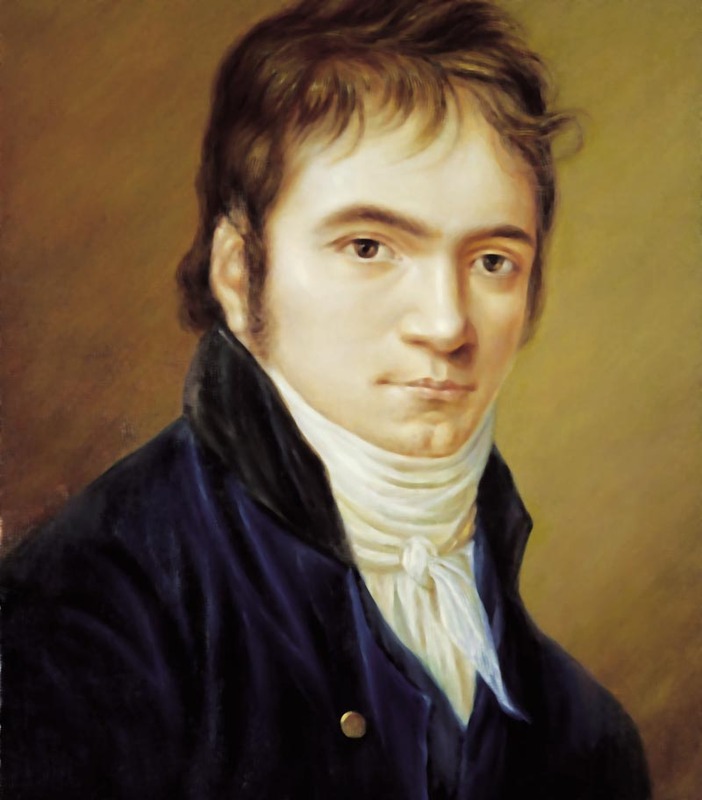 In addition to his father, the young Beethoven had several local teachers consisting of family friends such as Tobias Pfeiffer to Gilles van den Eeden, the court of Bonn organist at that time. It wasn’t until 1779 that Beethoven began training with Christian Gottlob Neefe (the new court organist), who ended up being one of his most significant teachers. Not only did Neefe teach Beethoven how to compose, but he helped him create his first three sonatas. Beethoven traveled to Vienna as a teenager with hopes of advancing his musical career and possibly meeting Wolfgang Amadeus Mozart, however his endeavors were cut short with the death of his beloved mother. Beethoven often referred to his mother as his best friend. After his mother’s tragic death, Beethoven met Joseph Haydn in 1790. Haydn recognized the young man’s talents and made arrangements for his instruction in Vienna. In 1792, Beethoven moved to Vienna and in the ensuing years, created some of his most famous masterpieces. Little is known as to how Beethoven lost his hearing. By age 26 however, the pianist had begun to experience intense ringing in his ears and moved to a town on the border of Vienna called Heiligenstadt to cope with his insulting/painfully ironic disability. For a time Beethoven contemplated suicide, however decided against such a wasteful act and instead decided to return to Vienna and further his musical career. Upon his return to Vienna, Beethoven started creating again. This time period, referred to as “The Heroic Period” was when Beethoven took a change in the direction of his musical style and again created some of his most powerful and influential pieces. These pieces included his third through Eighth Symphonies, The Waldstein Sonata, and the Apassionatta sonata. Despite an inflammatory illness in 1817, Beethoven continued his musical career, however his health continued to deteriorate for a number of reasons. By 1825, Beethoven had become too sickly to get out of bed and eventually passed away in 1827. Born in Salzburg (part of modern day Austria) to Anna Maria and Leopold Mozart, young Wolfgang was introduced to music at an early age. 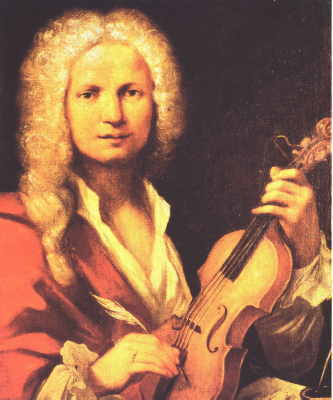 His father, Leopold was not only a teacher and composer, but also played violin for the local court. Leopold was instructing Wolfgang’s sister Nannerl on the piano with 3 year old Wolfgang observing. The young Mozart began picking up on his father’s teachings and Leopold took notice of this. He began to instruct his son in addition to Nannerl and by age five, Wolfgang was already composing. His father took heed to his boy’s uncanny musical abilities and began bringing his children to play concerts for important individuals within the courts of Munich, Paris, Zurich, London, and Milan. Eventually, upon returning home to Salzburg, Mozart was appointed by Prince Archbishop Hieronymus Colloredo as one of the Salzburg court musicians. 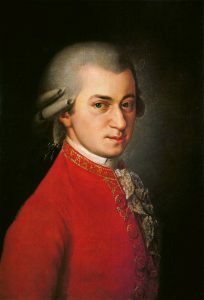 In this new position, Mozart wrote several influential pieces and developed a solid fan base. Despite these accomplishments, Mozart was not compelled to further his employment in Salzburg given the fact that he was not paid nearly enough for the work he was putting out. Not only that, but the Salzburg court theater closed in 1775. After a two year journey roaming Europe looking for work, Mozart was eventually convinced to return to Salzburg by his father. Leopold had found him a position as a court organist that paid significantly better than his previous position. Mozart tolerated this position but not for long. After a blatant display of disrespect by his employer, Prince Archbishop Hieronymus Colloredo, Mozart decided to leave Salzburg once and for all and settle in Vienna. Leopold opposed this decision and sided with Colloredo. In the ensuing years in Vienna, Mozart’s popularity elevated exponentially. In 1782, Mozart married Constanze Weber. In Vienna, Mozart continued to write sonatas, symphonies, and especially operas until the year of his death. He literally did not have an unproductive day. Wolfgang Amadeus Mozart died on December 5th, 1791 of an illness that is still unknown and disputed to this day. It could have been any one out of a large number possibilities. 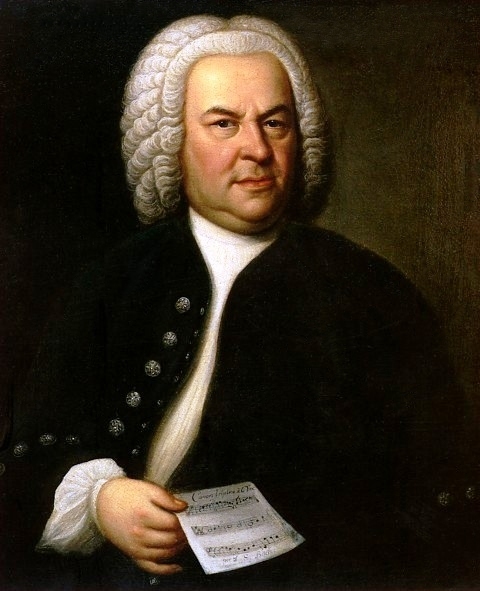 Not unlike Beethoven and Mozart, Johann Sebastian Bach was born into a very musical family. The family consisted of Johann’s father, Johann Ambrosius Bach, mother, Maria Elisabeth Lämmerhirt, and eight children including Johann Sebastian. They lived in Eisenach, Saxe-Eisenach. Bach’s father, uncles, and brother were all musicians and all contributed to teaching Johann their art of creating beautiful melodies. Unfortunately, by age ten, Bach’s parents had both died and the young musician moved in with his twenty four year-old brother. Johann Sebastian and his brother Johann Christoph trained together until Johann Sebastian was given a scholarship to attend The St. Michael’s School in Lüneburg. Upon graduating, Bach traveled to several places, working as an organist and meeting influential characters. He went from Lüneburg, to Weimar ,to Mühlhausen, and back to Weimar again working in various positions and building his reputation along the way. In Mühlhausen, Bach married his second cousin, Maria Barbara. Upon his return to Weimar, Bach was appointed director of music for the ducal court. He spent a number of years creating various preludes, fugues, and cantatas, and raising his children. After a falling out with his employer and almost a month of jail time for events related to said falling out, Bach moved to Köthen in 1717. Bach was appointed musical director by Prince Leopold of Anhalt-Köthen. It was in Köthen in 1720 that Bach’s wife Maria died. A mere year passed before Bach married his second wife, nineteen year-old Anna Magdalena Wilcke. For the remainder of his life, Johann Sebastian Bach continued to travel, compose, and mentor his children in the ways of music. He ended up settling in Liepzig in 1723 where he directed the music of the surrounding churches and was the chief singer/instructor of the St. Thomas school in Liepzig. Bach continued to work in these positions and create his masterpieces until his health eventually deteriorated by 1749. He passed away on July 28th 1750. Though it can never be known for certain, most experts believe that Bach’s death was caused by a stroke. Frédéric Chopin was born in The Duchy of Warsaw, a Polish state in 1810. Chopin’s father, Nicolas was a Frenchman who emigrated to Poland to tutor the families of various aristocracies. Similar to Mozart and Beethoven, Chopin was a musical genius from the start. He first received piano lessons from his mother, Justyna Krzyżanowska Chopin, and eventually began training with an official music teacher named Wojciech Żywny. By 1817, not only was the seven year-old prodigy performing concerts by himself, but he had written his first two polonaises. In 1823, Chopin began attending the Warsaw Lyceum. He studied and composed there for six years until he finally left in 1829. 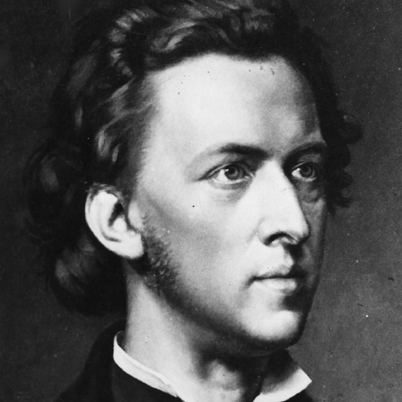 Chopin traveled to Berlin, Vienna, and Paris, meeting and performing for influential people along the way. Upon his arrival in Paris in 1831, Chopin more or less ceased to publicly perform (he only did it about once every year) and began giving lessons to students from all over the continent. Chopin met a number of close friends in Paris and continued to write music, however his health was quickly deteriorating. Chopin stayed in Paris until 1848 when the people of France revolted against The Elected Government of the Second Republic and he decided to get out of there for a little while. He moved to London where he again gave music lessons to aspiring artists. Chopin gave his final public performance in November of 1848 in London. Interestingly, Chopin returned to Paris almost as quickly as he left, however he was not in very good shape. He was bedridden by September 1849 and passed away in October. His death certificate indicates that he died of tuberculosis, however like some of the previous artists, this subject is highly debated. Johannes Brahms was born in 1833 to father, Johann and mother Johanna (no I’m not kidding) in a poor section of Hamburg, Germany. At the age of seven, Johann began to teach his son the piano. After all, the father of the great future composer was a musical teacher. The family’s source of income came from Johann teaching double bass and horn as well as seven year-old Johannes performing piano in dance halls. Over the next few years, Johannes was trained by several music teachers in addition to his father and even learned to play the cello. By the age of nineteen, Brahms was gaining a reputation for his musical abilities. He started going on tour in the surrounding area of Hamburg as well as within the city. In 1853, he was introduced to Robert Shumann, composer of such masterpieces “Kinderszenen” and “Carnaval”. Shumann wrote an article about Brahms which helped gain the up and coming twenty year-old some more recognition. Over the next few years, Brahms became very close with the Shumann family. In 1854, after Shumann had attempted suicide and was residing at a mental home, Brahms moved into an apartment above the family to assist them in his absence. In 1868, Johannes Brahms reached the height of his popularity upon the release of “A German Requiem.” In the ensuing years, Brahms traveled Europe, composing and performing but often returning to Hamburg until 1890 when he finally decided to settle down. 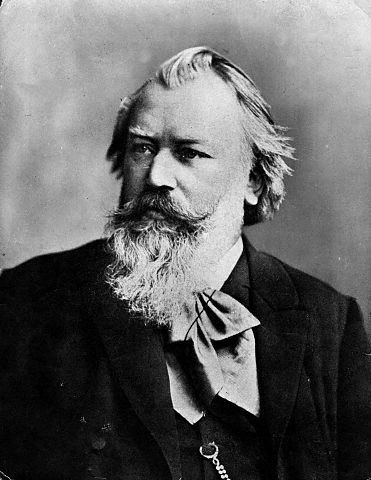 Brahms stopped travelling and composed several more works in his home until he got cancer and passed away in 1897. Wilhelm Richard Wagner was born in a jewish area of Liepzig in 1813. His stepfather, Ludwig Geyer had a deep love and appreciation for the opera. It soon became obvious that his young stepson also had a deep love for the opera as well as a keen ear for music in general. When Geyer passed away, Wagner was sent to a boarding school for five years where he developed an appreciation for theater and cemented his love for music and opera after seeing such operas as “Der Freischütz”. When his family returned to Liepzig in 1827, Wagner began his first music lessons. His skills increased over the years, and eventually, his brother got him a job as choir master at the theatre in Würzburg. Wagner left that position soon after and returned to Lipzig where he started his very complicated love life. He married Christine Wilhelmine “Minna” Planer in 1836. Soon there-after, Minna left Wagner for a lover. Wagner ended up getting engaged to Minna’s sister, however reconnected with Minna and cancelled the engagement. Two things plagued Richard Wagner throughout his life: a complicated love life and a whole lot of debt. Richard and his wife fled creditors from 1838 to 1842, going from Riga, to London, to Paris, and finally stopping in Dresden for a while where Wagner got involved with a group of some-what extremist German socialists. Wagner ended up playing a role in the May uprising in Dresden and had to leave Germany and settle in Zürich, Switzerland in 1849. From 1849 to 1858, Richard Wagner resided in Zürich composing several operas and receiving financial help from a couple of families (he was cut off from all of his beneficial ties in Germany and struggling with money). Wagner became involved with Jessie Lassout, a friend of the wife of Karl Ritter. Ritter was helping Wagner with his financial difficulties at the time. Upon learing of Wagner and Lassout’s affairs, Ritter ceased their involvement with each other immediately. A few years later, Wagner had another affair with a married woman named Mathilde Wesendonck. In 1858, Minna found a letter from Wagner to Mathilde and the couple’s deteriorating relationship finally collapsed. Shortly afterward, Wagner moved to Venice alone. He spent a bit of time in Venice and then Paris, and was eventually allowed to return to Germany when his exile was alleviated in 1862. In 1864, Wagner gained the affection of King Ludwig II of Bavaria who was deeply attracted to the talented composer and his music. The King settled Wagner’s debts and Wagner continued to create operas in Munich. It was during the creation of his opera “Tristan und Isolde” that Wagner began an affair with the conductors wife, Cosima. The affair resulted in the birth of Wagner’s daughter Isolde, and eventually, Wagner and Cosima were married in 1870 (the conductor, Hans von Bülow eventually permitted a divorce), however, given the scandalous nature of their involment they were prompted by King Ludwig II to leave Munich in 1865. Wagner left Munich and headed again for Switzerland with Cosima. It was around this time that Minna passed away from a fatal heart attack, however Wagner did not even attend her funeral. In 1871, Richard Wagner and his new wife moved to Bayreuth where the composer established his own opera house. They stayed in Bayreuth for the remainder of Wagner’s life. 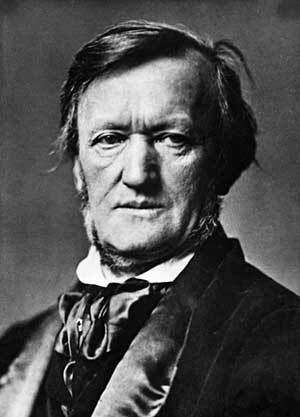 During a visit to Venice in the winter of 1883, Wagner suffered a fatal heart attack and died on February 13th. Wagner may have been a good composer, however he was far from a good person. Throughout his life, Wagner was an outspoken anti-Semite writing essays on the “inferiority” of Jewish musical artists and stressing the dominance of the Aryan race. He even inspired/reinforced some of the opinions of the future creator of the Third German Reich, Adolf Hitler. Rachmaninoff was born in 1873 into a family with six children. His first experience with the piano came at the age of four when his mother, blah started to give him lessons. Sergei’s family was relatively well off, owning five estates, however Sergei’s father had a serious gambling problem and eventually those five estates were whittled down to one. From 1883 to 1885, Sergei was enrolled at the St. Petersburg Conservatory where he played piano for a number of important officials. Unfortunately, Sergei’s grades were not up to par with his piano playing abilities, and the Conservatory revoked his admission. After that, Sergei was sent to Moscow Conservatory to study with a piano teacher named Nikolai Zverev. He created several compositions at the conservatory that would eventually become quite famous, and he even developed an interest in a young woman named Vera Skalon. The Skalon family lived close by, and often visited, however when Vera’s mother found out about her daughter’s attraction to the young pianist, she immediately put the kibosh on it. Sergei was forced to communicate with Vera via her older sister, however nothing came of their correspondence. In 1893, Pyotr Tchaikovsky, an accomplished musician and close friend of Rachmaninoff suddenly died. This really took a toll on the twenty-year old, causing him to sink into depression. Things only got worse upon the release of Rachmaninoff’s First Symphony. The incompetence of the conductor and a harsh, scathing review from César Cui caused the symphony to be received poorly which in turn cast Rachmaninoff even deeper into depression. 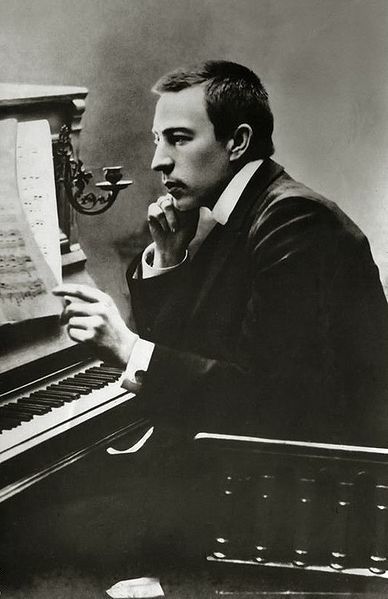 From 1896 to 1900, Rachmaninoff did not write a single piece. During this time, Rachmaninoff married his first cousin Natalia. It wasn’t until he started to undergo therapy with a psychologist named Nikolai Dahl that Rachmaninoff began to write again in 1901. For the next fifteen years, Rachmaninoff wrote and toured his way around Europe. In 1917, The Russian Revolution turned Rachmaninoff’s world upside down. He was forced to leave Russia after losing all of his property. The Rachmaninoff family traveled to the United states in 1918. It was in The U.S. that Rachmaninoff and his family stayed until his death in 1943. Throughout those years, he continued to perform concerts and compose until he began to feel the symptoms of melanoma during a concert tour in 1942. He eventually died in California in March of 1943. 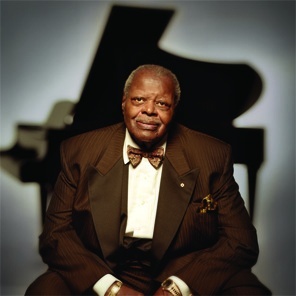 Oscar Peterson’s parents were immigrants and settled in a neighborhood called Little Burgundy located in Montreal. It was in this neighborhood that the young Oscar became acquainted with Jazz music and Jazz culture. At age 5, Peterson began playing the piano and receiving lessons from his father and older sister. Oscar also began playing the trumpet, however after a fight with tuberculosis, he was forced to give it up. When Peterson turned fourteen, he was entered in the National Music Competition in Canada. He would arise victorious and shortly there-after, he stopped going to school and began working full time as a pianist. Peterson played for a number of different venues including hotels, bars, and restaurants. He even had a position playing piano on a local radio show. In the mid 1940’s, Peterson was introduced to Norman Granz, an impresario who heard a live performance of Peterson playing piano on the radio and instantly became infatuated. The two became partners and remained friends and colleagues until the very end. In the 1950’s, 60’s, 70’s, and 80’s, Oscar Peterson played with a multitude of famous musicians in addition to his solo performances. Some of his musical associates included Sam Jones, Ray Price, Herbie Hancock, and Joe Pass. During this time, he also taught piano lessons. Peterson had a long and fruitful career all the way up until he had a stroke in 1993. Even after his stroke, Peterson played several limited performances, however his health continued to decline until he passed away in 2007. Vladimir Horowitz was born in 1903, however his father lied to the Russian government, telling them that Vladimir was born in 1904 to prevent his son from being put into military service. During the Russian Revolution, The Horowitz family lost pretty much all of their possessions. Vladimir began playing concerts and touring Russia in order to benefit his family. He was often being paid with food instead of money. 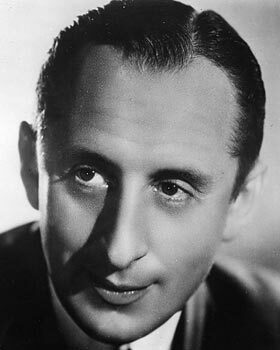 Eventually in 1925 Vladimir Horowitz left Russia to try to make a career as a composer in Berlin. Upon leaving Russia, Horowitz’s career started to take off. He played all over the world including Paris, London, and New York. His first recording was done in the United States in 1925 and his first television broadcast performance was also in the United States in 1968. Horowitz was married to his wife Wanda in 1933 and had a daughter named Sonia in 1934. For the rest of his life, Horowitz continued to tour and perform all over the world, receiving both praise and criticism just like every other artist. In 1989, two years after his final public performance, Horowitz suffered a fatal heart attack and passed away. Horowitz’s focused on performing pieces within the Romantic piano category. He was inspired mostly by artists such as Franz Liszt, Sergei Rachmaninoff, Domenico Scarlatti, and Wolfgang Amadeus Mozart. The piano is one of the most intricate, wonderful sounding instruments that exists. At Vienna Piano, we’re proud to even be associated with an instrument with such rich history and melodiousness. We try to set ourselves to a standard of excellence that would satisfy the geniuses that populate this blog post. While we will never know what they think about our pianos and services, We like to pretend that they might be satisfied.